A great simple dessert from my friend’s mother. Fresh Peach Dump Cake aka Peach Delight is so easy to make and perfect for any occasion. There’s nothing like the taste of fresh peaches in the summer. While we were on vacation in South Carolina I made sure to take advantage of the freshest peaches and make my friend’s Peach Delight recipe. This recipe came from her mother and it’s a dump cake recipe. What’s a Fresh Peach Dump Cake? If you haven’t heard of this, a dump cake is simply a cake that you make by dumping a few ingredients into one pan and baking it. Easy, right? 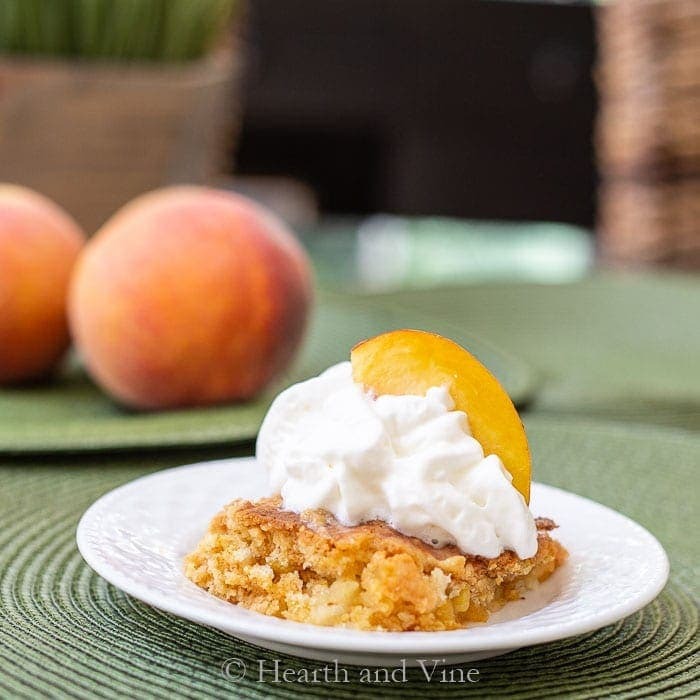 The original recipe uses a large can of diced peaches, but for this fresh peach dump cake, I use fresh peaches especially if they are in season. I did add a little sugar and water to mimic the syrup from the can so that there is enough liquid for the cake mix to absorb. You need enough peaches to cover the bottom of the pan. This is a standard 9 x 13 glass baking pan. Then layer your cake mix and butter slices. That looks like a lot of butter, huh. Just remember you are not adding any oil or eggs to the recipe. Ok it’s a little boring looking on face value which is why you will want to serve it with whip cream and a peach slice. It’s nice and dense, and the fresh peaches add a great fresh and tart flavor that works really well with the cake. I love this fresh peach dump cake is perfect for vacation because you don’t need any fancy equipment and very few ingredients. Plus it makes a good 18 – 24 servings. Just the right amount for our large family. I don’t think apples give off enough juice. You could heat them on the stove but that would add an extra step. Try combining two fruits together. I think blueberries pair well with peaches. I even made a blueberry peach cobbler using sugar cookie dough. Another simple and very tasty dessert. P. S. Another great dessert that uses fresh fruit is my Cranberry Pear Galette, that is perfect in the fall. And there is my mom’s Dutch Apple Pie which uses Granny Smith apples. You can usually find them in the store all year round. 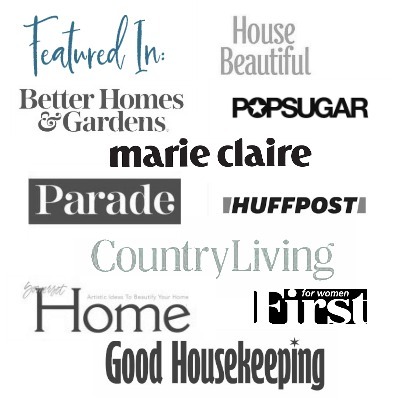 See these and so many more on my Recipes Page. A great simple dessert from my friend's mother. 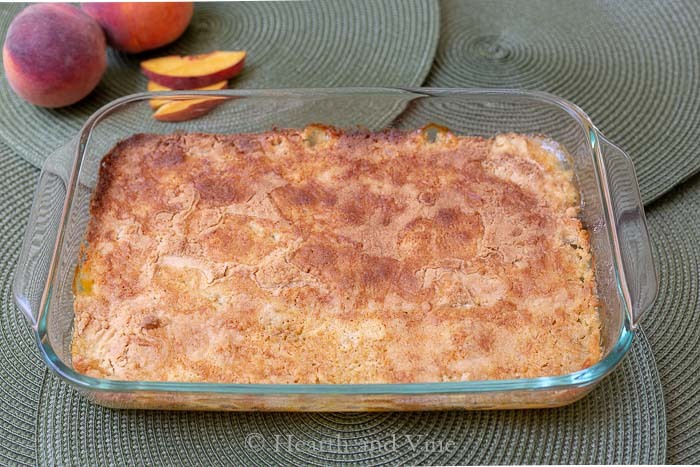 Fresh Peach Dump Cake aka Peach Delight is so easy to make and perfect for any occasion. additional peach slices for serving. 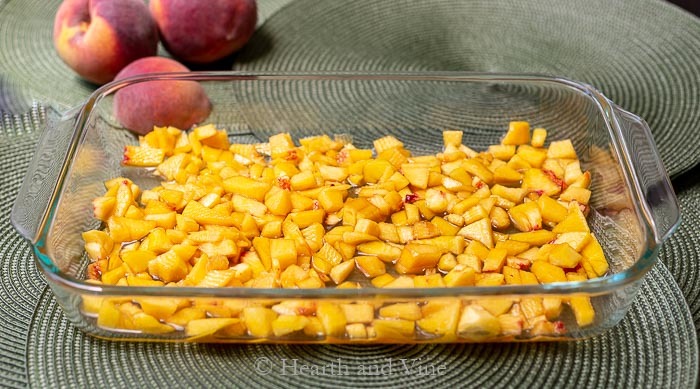 Combine diced peaches and sugar in a bowl for 20 minutes. Pour peach mixture into 9 x 13-inch baking pan. 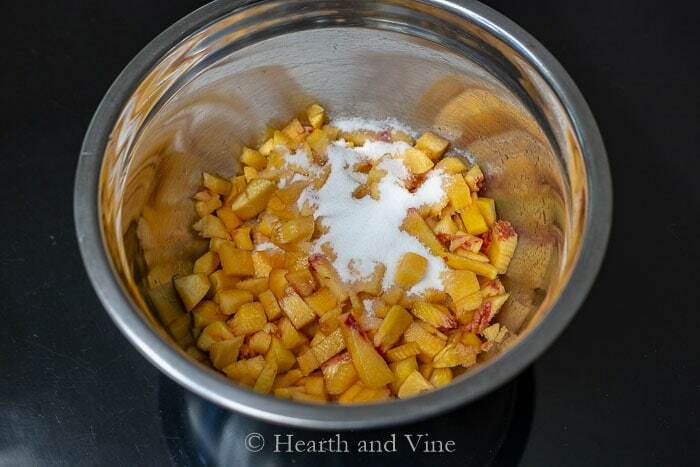 Sprinkle dry cake mix evenly over peaches. Arrange butter slices evenly over cake mix. Bake for 30-40 minutes until the top is golden brown. Cut into squares and serve with whipped cream and a peach slice. Yum! Just ate peaches today and would love to make this dump cake! Lauren, the hardest part is cutting up the peaches but it’s worth the effort. That’s a lot of butter which I bet makes this amazing. Love peaches and how awesome to make this with so many variations. Yum! It is a lot of butter Carole. However, you’re not adding any vegetable oil or eggs like you normally would with a box mix. Also, I was following my friend’s recipe, however, I bet you could get by with a little less.